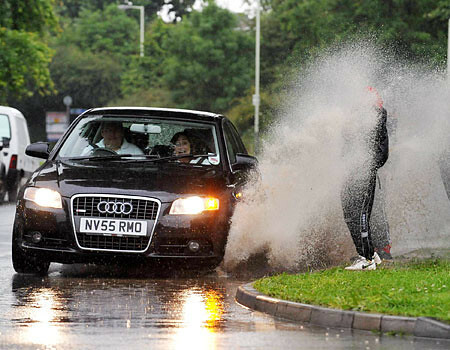 The Joy of Fashion: Splashed by a car!!! Where: Everywhere! 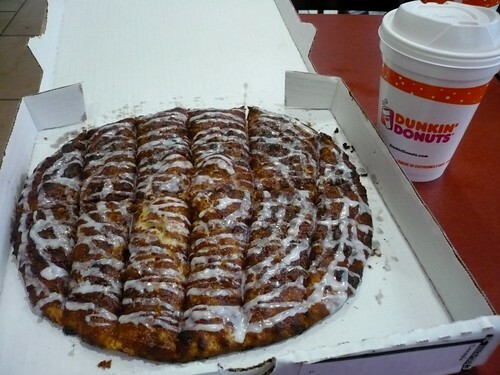 Snack at Papa John's and Dunkin Donuts, a walk through the mall, and a movie night with my boyfriend! Jajaja, well maybe not THAT bad, but it was pretty wet. I know that most people would get very angry about this, but the way I see it: getting angry doesn't change the fact I got wet. Soooo, I just started to laugh, and laugh, and laugh... I kept telling my boyfriend it was like a scene from a movie! When life gives u lemons, just make lemonade! So for me, when "bad" things happen, just laugh about it! In terms of the outfit, I really felt good today because its the first time I wear these new purple tights!! I have managed to come up with a lot more outfits with them than I had expected when I first bought them. 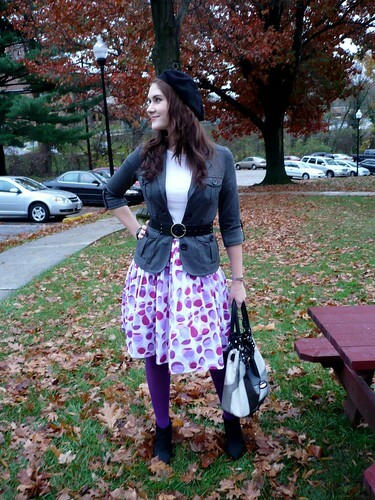 The patterned skirt went perfect with the color of the tights! 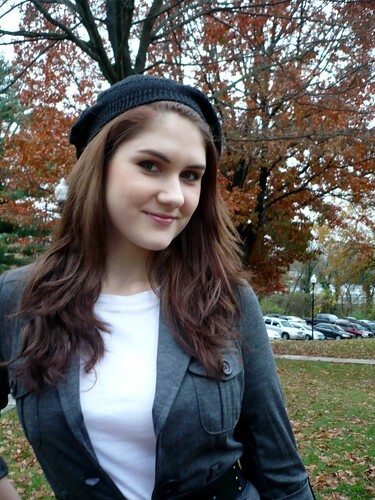 And to not overdo it, I kept the rest of the outfit neutral. I'm really liking how grey and purple go togther! Anyway, today was a wonderful day... have any of you ever been splashed by a car? Shame about getting splashed, hope it wasn't muddy. But at least you can see the funny side! thanks for all the nice comments on my blog! you are so sweet. 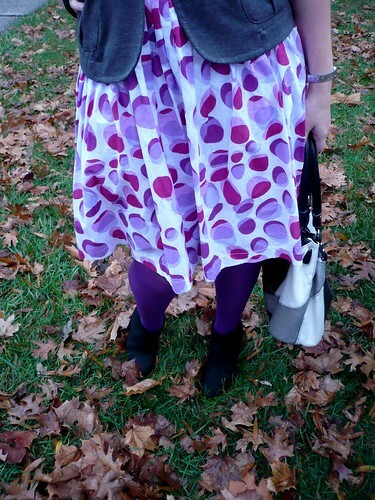 i love your outfit here - awesome purple tights! sorry to hear you got soaked, but i probably would have laughed too if it happened to me! 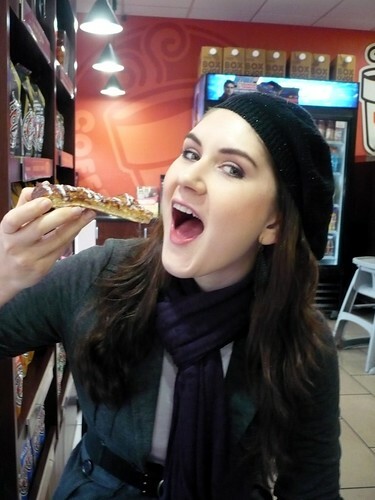 Envy you eating that yummy cinnapie!!! Looks like you are having so much fun eating it. Glad you can see the brighter side of things in life.